The Jews came to regard this name as too sacred to pronounce. There is a similar occurrence in the Book of Leviticus. After the first count seven letters, and you find a count seven more letters and you find a then seven more and you find another again spelling the YHWH, the Name of God. 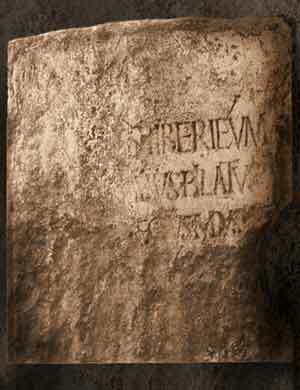 Did Pilate know the extent of the epitaph for the cross and the encoded message it contained? 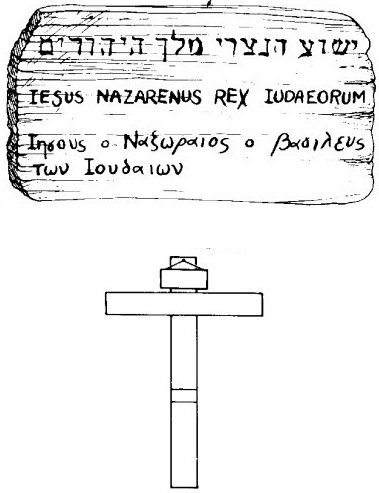 Most scholars questioned the actual existence of a Roman Governor with the name Pontius Pilate, the procurator who ordered Jesus’ crucifixion. Similarly they questioned the historical reliability of the Gospels. However in June 1961, Italian archaeologists led by Dr. Antonio Frova were excavating an ancient Roman amphitheater near Caesarea-on-the-Sea (Maritima). They uncovered a limestone block. 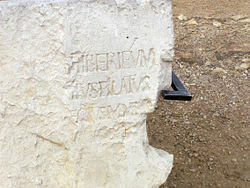 On the face is an engraved inscription which is part of a larger dedication to Tiberius Caesar which clearly says that it was from “Pontius Pilate, Prefect of Judea.” This was a significant development in the quest for the historical Jesus, as scholars have confirmed the inscription to be authentic. JESUS used Nebuchadnezzar, a pagan king, to punish Israel and I know He used Pontius Pilate to let the world know YHWH was being killed thanks to His pastors!